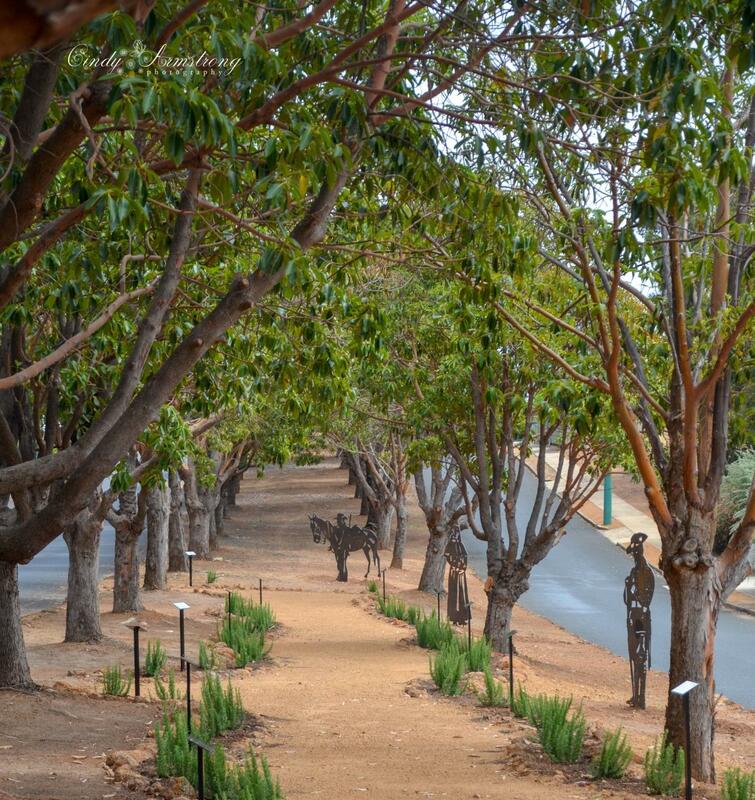 The RSL believes that the box trees from the War memorial to the BP were initially planted as an “Avenue of Honour”. This was in honour of the war dead listed on the War memorial in Both WW1 and WW2. The photo above is of the original planting around 1954. 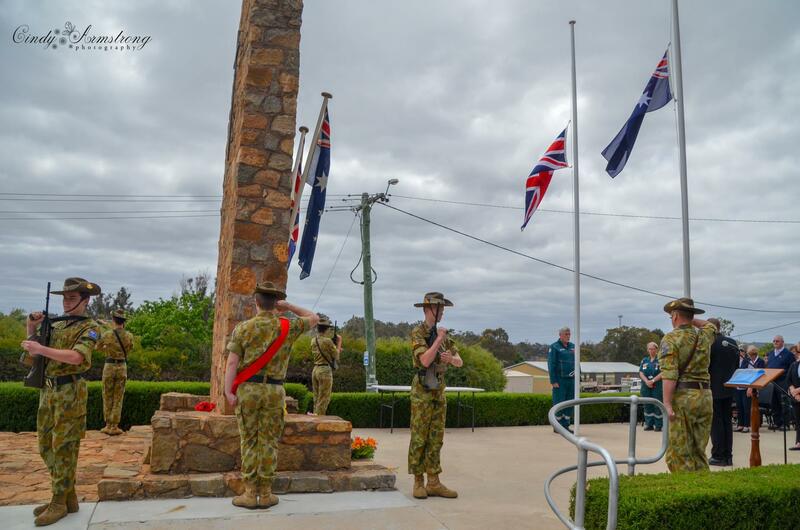 To help celebrate 100 years since the signing of the Amnesty to end WW1, the Boyup Brook RSL Sub-branch received a DVA grant to continue the upgrade of the memorial and with the support of the Shire created the "Path of Remembrance", which opened on Remembrance Day 2018. Today 100 years ago the guns on the Western Front finally fell silent on the War to end all wars. This marked an end to the conflict that had ripped the heart out of a young Australia, and which economically took years to recover. However this also forged the strength and character of the Australian diggers known as the ANZAC’s which are still held in high regard both on and off the battlefield today. Today I acknowledge the ultimate sacrifice given by all Australians but especially the local men who are named on our war memorial, some of who never even made it to the War, but had volunteered with that intent. I invite you to walk along the path of Remembrance, and you will recognise some local names, some that were killed in action, others died of their wounds, and some of illness. Those that died overseas were sometimes buried near where they fell, and later exhumed to a Commonwealth War Grave. Some of whose bodies were never recovered, and are only remembered with their name inscribed on a war memorial. Two of the men mentioned on the memorial-Trooper Louis KLOPPER and CPL Clarence SHEPPHERD both of the 10LH both died in the same assault on the NEK at Russells Top Gallipoli. Both died meters from their own trenches in an assault of the Turkish lines under murderous hail of gunfire that killed 37 men of the 10LH regiment. Captain Oscar Jilley died from wounds received in a shellfire that had lasted two days in the defense of the town of Pozieres in which 598 men (over half of his 48th Bn died in that bombardment). Not only do we remember those upon our memorial, but also those that served and returned from WW1, some of them never speaking about what they had witnessed again - All of those have now since passed, taking the horrors of what that war to their grave. 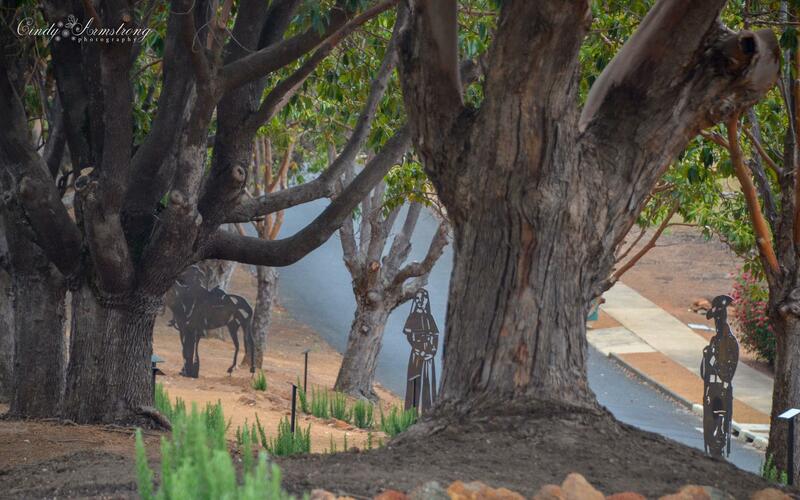 The silent steel figurines along the path have been selected to best represent the 10LH troopers with their mount, a soldier resting on arms reverse in respect for the diggers and a nurse, representing the many women that served both overseas and in Australian hospitals. Please take the time for a stroll down our new path of honour and take 5 minutes to Remember them.